I’m writing this article from the heart as a call to battle. Today, President Obama signed the “Monsanto Protection Act” into law. This is despite the objection of over 250,000 concerned citizens. The implications of this legislation reach far beyond simple advancements for the chemical giant, Monsanto. The law will essentially grant unlimited power to the company for the next 6 months. Even the highest court systems will not be able to interfere with the unveiling of new experimental genetically engineered (GE) crops. 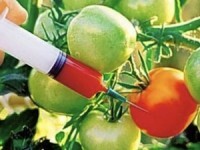 Genetically Modified Organism (GMO) activist experts predict the multi-billion dollar conglomerate will push through up to a dozen new GMO projects in the next 6 months. The opposition will be powerless against the world’s first genetically engineered animal: Aquabounty’s GE Salmon. It is important to note that GMOs cannot be considered safe for human consumption. 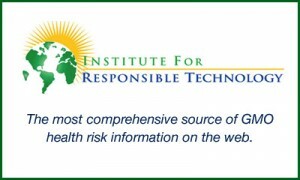 Jeffrey Smith of The Institute For Responsible Technology has compiled extensive data regarding the safety of GMOs. Through his comprehensive research, he has demonstrated that GMOs have the potential to significantly damage every organ system in mammals. Even more concerning is the lack of a single randomized, blinded / controlled study on humans. Meanwhile, Monsanto (along with other biotech industries like DuPont) continue to unravel untested, unsafe monstrosities such as the GE Salmon. Genetically engineered apples, GE yeast (to be used widespread in alcoholic beverages), and several others are in the works as well. A controversial 2012 study of rats fed genetically-modified maize has created quite a stir on both sides of the debate. The French study is the longest in-vivo animal trial of GMOs to date. The study authors found that rats administered GMO feed experienced side effects such as tumor formation and several other multi-organ side effects. Other recent studies have confirmed these results. Mothers have reported significant disturbances in the gut health of their children related to GMOs. Doctors report their patients have been relieved of chronic allergy and asthma symptoms simply from stopping a diet laced with GMOs. Contamination of native species continues to spread rampantly. GMO corn and soybeans are estimated to make up greater than 92% of all corn/soy crops. Even shipments labeled as organic have been tested to contain up to 20% GMO content. The impact is widespread. There are now literally hundreds of food additives and ingredients derived from GMO crops. This includes not only foods but health supplements as well. In fact, the vast majority of popular supplement industries, such as NOW Foods frequently use GMO ingredients when questioned about their suppliers. We must stop this madness before it is too late. Parents and consumers must rise up against unlabeled GMO foods before future generations have nothing but a patented seed to eat. As Henry Kissinger Put it: “Control the food, and you control the people.” These biotechnology industries know this, and it is exactly what they are trying (and succeeding so far) to do. If real food matters to you…. If your health matters to you …. If your freedom matters to you …. If having a choice matters to you…. Please help us in the fight against GMOs.